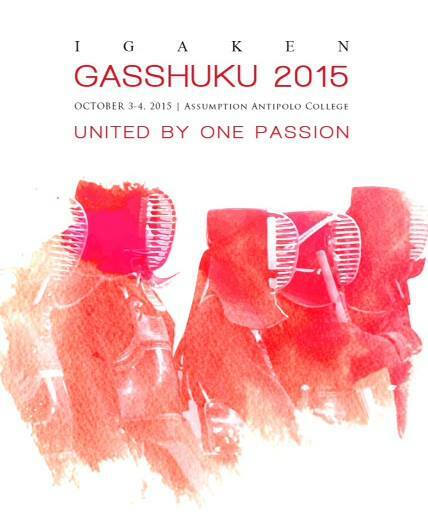 The 5th Annual IGA Ken Gasshuku! After the success of the 4th Gasshuku (training camp), IGA Ken is looking forward to an even better one this coming Oct 3-4. The training venue will once again be in Assumption College, Antipolo City. Lodging will be also once again Cristina Villas. Both venues provided us with good services and memories from last year’s Gasshuku, and we look forward to going back to them again. This will also be our biggest one yet, topping the 100+ participants from last year. This year we are expecting around 120 participants total for the full two days (though additional participants are expected for Day 2). Delegates from all four current IGA Ken Dojo (Arena, City Club, Dasma Village & UP Ken) are attending, in addition to participants from Davao Kendo Club, Iloilo Kendo Club, and Manila Kendo Club. Day 1 will feature several training seminars on various topics. But it will start off with Igarashi-Sensei’s infamous Suburi Challenge. Day 2 will kick off a series of shiai (tournaments). The one we are most looking forward to is the Mudansha Team Shiai, where the different participating dojo are fielding teams to compete in what could be the preliminary to a future Philippine Kendo Cup. Both days will end with godo-keiko between all participants. This entry was posted in Competition, Events, General Kendo News, Kendo, Socials, Uncategorized and tagged Arena Fitness Dojo, Assumption Antipolo, City Club Dojo, competition, Dasma Dojo, Davao Kendo Club, Iga ken, Iga Kendo, IGA Kendo Club, Igarashi Sensei, Iloilo Kendo Club, jigeiko, kata, keiko, kendo, Koji Igarashi, Manila Kendo Club, Philippine Kendo, Philippines, tournament, training, UP Kendo Club, workshop. Bookmark the permalink.